I often use the word mind as applied to matter and say mind is matter. This is true but then I also use the word mind and apply it to the senses or knowledge. There seems to be a contradiction. So it is, if not explained. I will try to explain it so that you can understand my meaning. Words are used to explain certain ideas that are admitted to exist and when some new idea comes up one must use the same words to explain it. So it is very hard for me to find words to explain my ideas, for they are new to the world. Now as the word mind is used to mean our senses, I have to make another word or I can't explain my ideas of matter. If I use the word soul, I don't give the true idea of soul to the people, as it is understood. So I have to take such words as are used and explain my ideas to my patients as best I can. In this way I can succeed in making my patients understand what I intend to convey to them. So when I say mind is matter, I mean just what I say but when I use the word mind as applied to the senses, I use it in another sense than when applied to matter; for in the former sense it contains no matter but is the power that controls matter or mind. Therefore when I say my mind understands, I don't wish to be understood to say that matter understands, but the power that governs it. And when I say my mind is diseased, I do not mean my senses are diseased, but the matter or mind that the senses act upon. Here you see I use the word mind in two senses. This appears as though I did not understand the meaning of the word mind. I do understand its meaning, but I can't find any other word to explain my meaning. 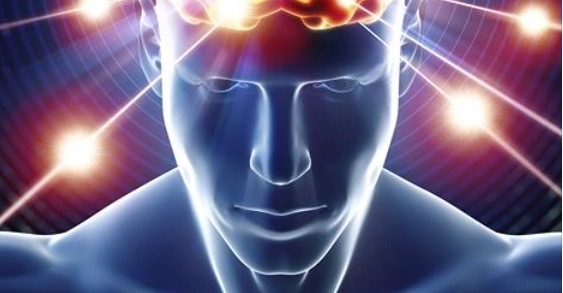 When the world is enlightened in regard to what mind and matter are, then they will see that mind is matter and can be used like any other matter or moulded into any shape or form (see Mind Force is a pre-existing Natural Force) by another power that is in man but not admitted, although known and associated with matter and takes the name of mind. Now then this power is separated it is call soul, but when it is in the body, it is call mind and as no one ever saw it, no one knows how it gets into matter nor how it gets out. It is supposed at death to make a jump and assumes the word soul, but this is an opinion. So if the body is sick and the mind ever so much disturbed, the soul is ready to jump out when the mind or body is dead. The word is applied to the body because we often hear that another has lost his mind; when asked what his mind is, they say life, senses or knowledge. So you see the common belief destroys life, soul, mind, and body at death. If the meaning of words shows anything, it shows that the inventor of the same had not the least idea of any existence after death and if there is anything after death, it is not defined by any words giving that meaning. This may seem strange but it is true. Take the word life; it is defined, vitality, existence. You hear this expression that such a person is using up all his vitality or life and at last he dies; so that life is death and there is not a word in use to give the slightest idea of anything after what is called death. Now adopt my theory and you will see that it must take a different word to express my ideas. My ideas are that all the senses are life, not death, and their existence does not depend on a body for their identity, that we cannot teach anyone to see, taste, smell or know, but all their faculties are independent of matter and matter is the medium for their faculties to act upon. This was Jesus' theory: that although they crucified the man, Jesus, the faculties still lived, and could take a body that could be seen. You may ask for proof of all this, I will give it. All subjects, when in a mesmeric state, retain their faculties and senses and are in all respects just as they are in their waking state, not as is generally supposed, under the control of the mesmerizer. Their mind is influenced by the mesmerizer, just the same as if he should use his power in the waking state. Each retains his own faculties, but one may lose control of himself, just as a person may become drugged or intoxicated. But it is a mistake to suppose the subject is at the mercy of the mesmerizer and has no will of himself. That is not the case, any more than a person in company with a very bad man is under his control. All persons have an influence over each other but some have more than others and this is as it should be. But a tree is known by its fruits: If a person is known to be bad, no one is safe in his company, if the company are ignorant of his character. So it is with the mesmerizer. His character is to be the standard of his power, for zeal is more powerful than imperfect knowledge. If a man is vicious, he can, if he likes, have great control over his subjects or patients and if he is good he has the same influence. Public opinion has the same influence.